We are not allowed to load any equipment in the front glass doors. The event center has asked us that this year we load in through one of the side doors. 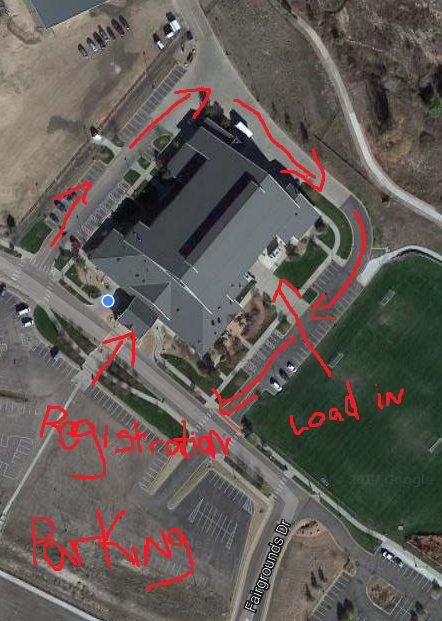 Please see the picture below on where to register vs where to load in your equipment. You must register before loading in you're equipment. 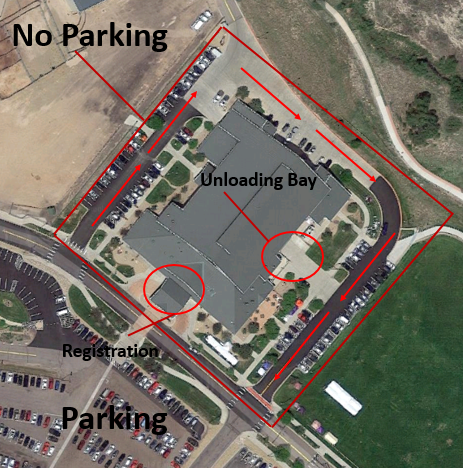 Please drive around in a circle seen below to help with flow and please no parking on the side lots.